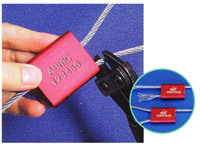 Cable security seals, buy now in small quantities. 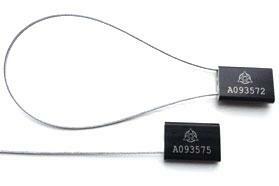 Alulock, cable security seals, 1.5mm width, 300mm length. Buy now in small quantities (packs of 10, blue only) pre-printed with sequential numbers. Normally dispatched within 2 working days. Cable Security seal, 300mm length, 1.5mm width. Pre printed with sequential numbers. Pack of 10 @ £11.64 excl VAT & carriage. Looking for price breaks for larger quantities ? Buy by the box.